Five years ago, Kansas City-based animal advocate Janet Curran saw a shelter video featuring Antoine. The beautiful, purebred, husky puppy was paralyzed in his hindquarters and no one was sure why. Ordinarily, dogs in this situation would be euthanized but, from the start, Antoine’s infectious spirit drew admirers and support. He went from Animal Control to the Leavenworth Animal Welfare Society to Janet, who knew she had to try to help him. Janet sought assistance from her veterinary hospital who took X-rays that yielded complicated results. Having had previous experience with her own dog receiving treatment at Colorado State University (CSU), Janet decided to take Antoine there next. CSU quickly diagnosed him with Neospora—a completely treatable infection that, if left too long, causes paralysis and death. After that was cured, Antoine underwent surgery. Janet was directed to Connie Fredman who owns and operates the Canine Health Resort, for Antoine’s post-operative care and rehabilitation. Antoine is now a permanent foster there and continues three days of rehabilitation a week at the Fort Collins Animal Rehabilitation Hospital. Because of his innate joy and determination to find mobility, Antoine was able to find his own way of walking. His feet are freshly wrapped in bandages each day to cover wounds that can’t heal and he has a special boot to lengthen his shortened back leg. Antoine walks, runs and lives a full life with his friends at Connie’s but he also gives back to others in many ways. He became a registered therapy dog who has regularly visited children with special needs, he offers cuddles at CSU Dog Night to comfort freshmen missing their own pets, he helps doctors and rehab technicians hone their skills by being a model patient and he brings joy and smiles to all who know him. 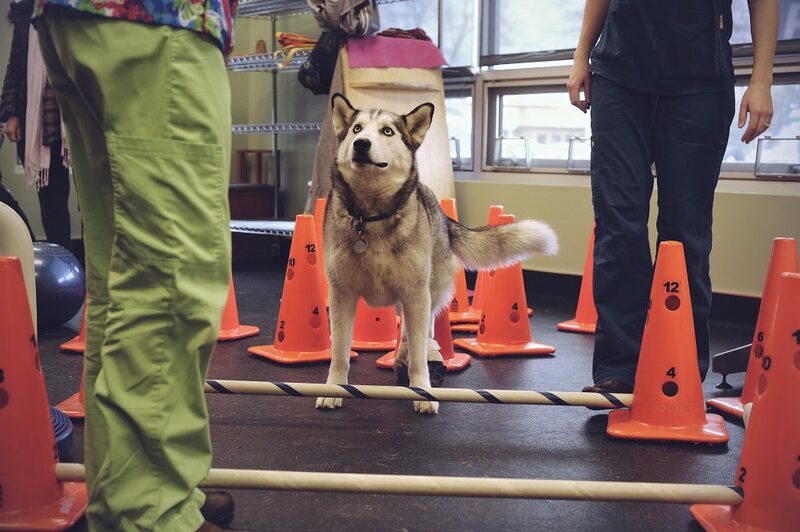 Inspired by Antoine’s perseverance and Connie’s dedication to helping dogs be dogs no matter their circumstance, Janet created Antoine’s Fund, a non-profit to help other disabled dogs live fulfilling lives at the Canine Health Resort. Janet is currently working on a book to tell Antoine’s story.